Every woman is a born multitasker, says Elvira Threeyama, founder of the CHEZVIES blog and online store. After marrying her husband and moving from Indonesia to India in 2002, she had to quit her job as a legal assistant and found herself sitting at home in a foreign country. Experiencing both a language and culture barrier, no friends, and no job — that was a really challenging time. 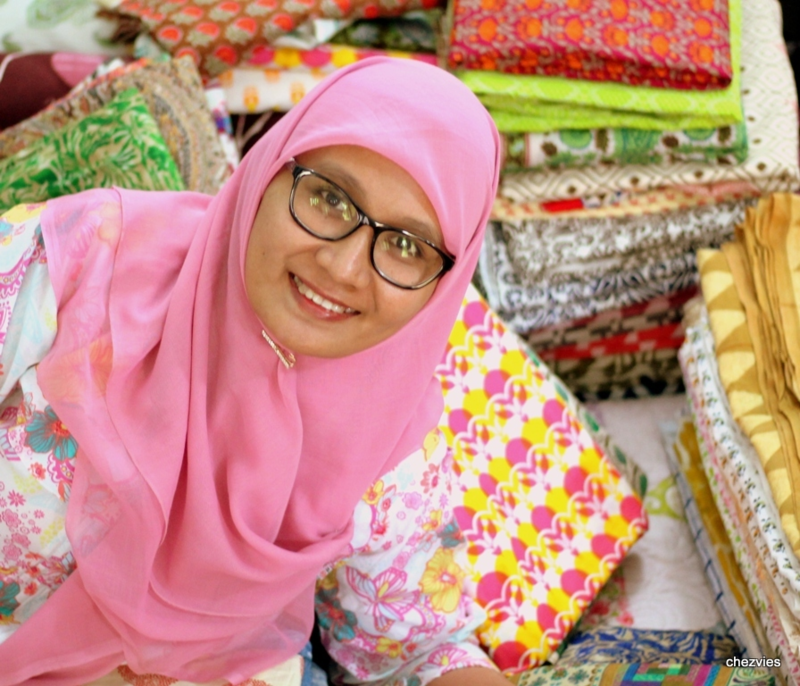 Elvira’s drive to overcome the challenges of her new home was key to her evolution — now she is a wife, mother, handcrafter, and a blogger. 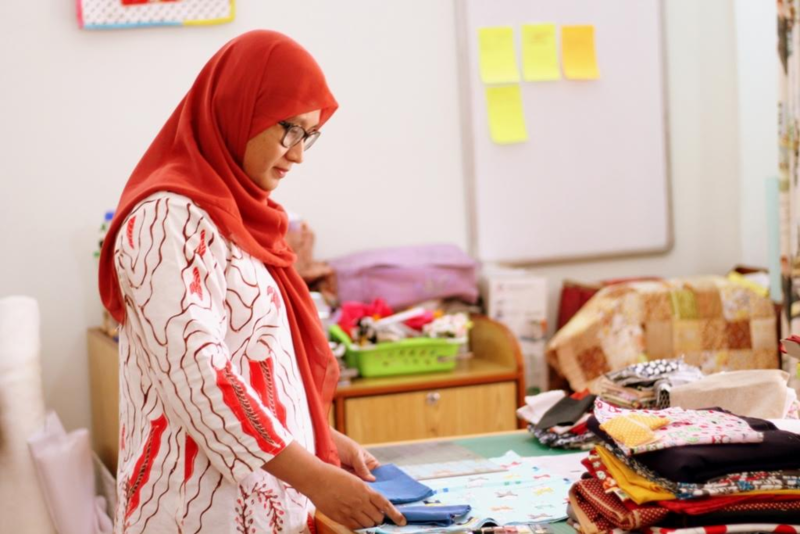 A one-woman entrepreneur selling her goods online. In this study, we’ll explore how she’s built a profitable handmade business online and find out how selling on her blog with Ecwid for five months generated more sales than a year on Etsy. On our first anniversary, I told my husband I wanted a sewing machine. I started to learn sewing again by reading books. After I became a mother around 2006, I came to know what blogging was and started reading a lot of sewing tutorials. Then I came across Etsy in 2008. That was when I realized that I could actually make money from my sewing. Facebook was not widely used then, especially not by those who were doing business from home. My husband’s extended family have been my great supporters from the beginning. I came to know many people through them. I started making all sorts of things for family and friends, and even doing a couple of exhibitions. When Facebook became very popular and online shopping in India grew, I started posting my work on Facebook and making a lot of friends who had similar interests. The rest is history. My product is 100% done by me, and the fabrics that I sell are personally handpicked by me. I create my products as they come. When I get orders, I write them on a list and work accordingly. I also note any customization the clients want. 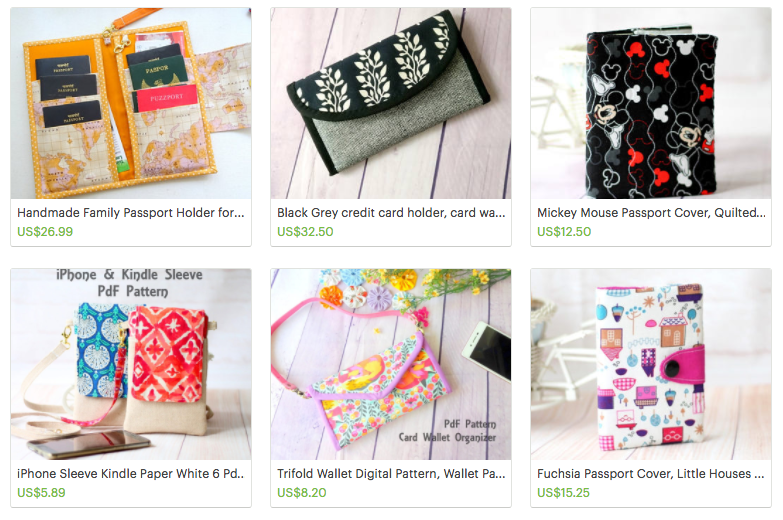 Currently, she sells physical and digital patterns, fabrics, and handmade goods like wallets and bags. For new product lines, I start with doing online research and drafting my initial pattern. Next, I make a couple of pilot projects. Once the pattern is perfected, I start introducing it on my social media account — and only then in the shop. Elvira never saves time on researching the best-quality materials. There are fabrics of different quality in India, but she handpicks only those that she’d use for herself. The CHEZVIES blog is built on Blogger. Blogger has the easiest interface, especially for a mompreneur like me who has a pretty basic knowledge of the internet. Blogger very recently came up with fancier templates, which really helped. I changed my blog design just last month with the new templates. Secondly, since Blogger is made by Google, I get the advantage of web exposure as far as SEO is concerned. In fact, one of the biggest traffic sources that generate sales is my blog. I try to blog regularly now. Initially, I created a new website on WordPress using the Ecwid plugin, but as I am not very computer savvy, WordPress is too much work for me. The Starter Site is a huge benefit for me, since I can use it as a stand-alone shop. I love the simple interface. Since I do a lot of online shopping, I prefer websites that have a clean look. And Ecwid offers just that. Now every time I introduce a new product in my blog, I can always embed the product at the end of my blog post and drop a link or two to the Starter Site. 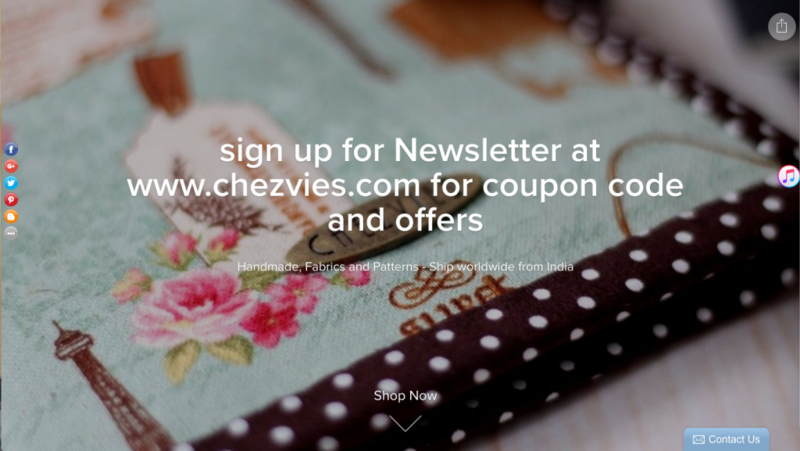 The CHEZVIES sales channels are a blog, Etsy, a Facebook store, and Instagram. The biggest part of her sales comes from the blog and social media. Selling on Etsy comes with some pitfalls. Like most marketplaces, Etsy would charge fees on every sale — more sales inevitably mean more fees. The absence of fees in Ecwid helps Elvira offer more competitive prices, which matters especially for her international customers. In fact, after 5 months with Ecwid, my online store sales revenue is more than what I get on Etsy in a year. And by paying the fixed price for my subscription in Indian Rupees, I don’t have to worry about other fees and currency exchange rates. 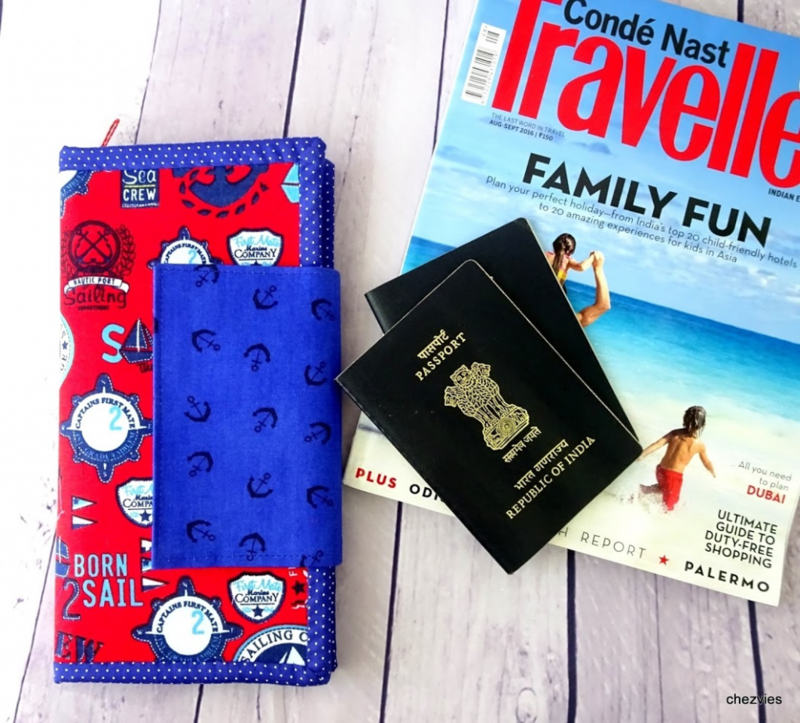 I want to focus more on the Indian market, so it is much more practical for customers to shop from my own website, where they can look at the product thoroughly and choose their payment method. Nevertheless, Etsy can work well as a traffic generator. Having my Ecwid shop embedded on my Facebook page is a great help. 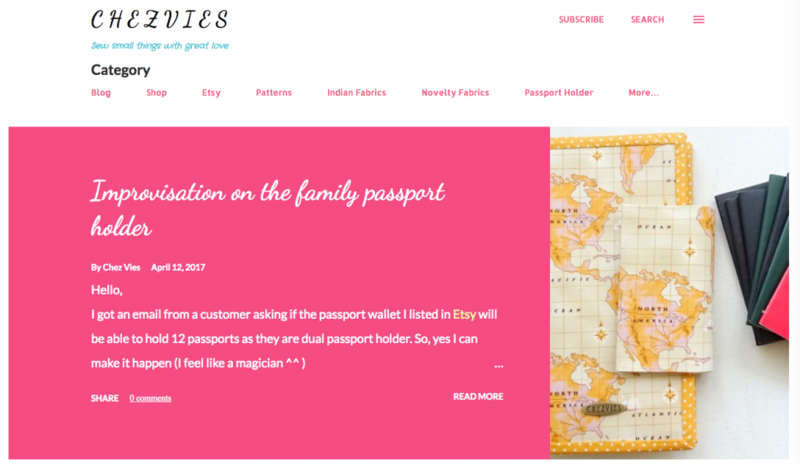 Many people who are already following my work through Etsy can now shop with ease, using the Indian currency. In the past 3 years, Indian online shopping has grown so fast. I think this is the best time to have my own website. Elvira has already developed her online marketing strategy. This part will be especially useful for handmade sellers who wonder how they should act on social media and other marketing channels. The world’s largest catalog of ideas is certainly the right place for every handmade creator: not only is it great for promoting your product and increasing your sales, but this social medium can be also used to understand your niche. Pinterest is the second biggest channel that brings sales to my shop. I joined a lot of Pinterest Groups and post there regularly. I post mostly from my shop. Sometimes I share an article or a blog post, or some ideas and tutorials. 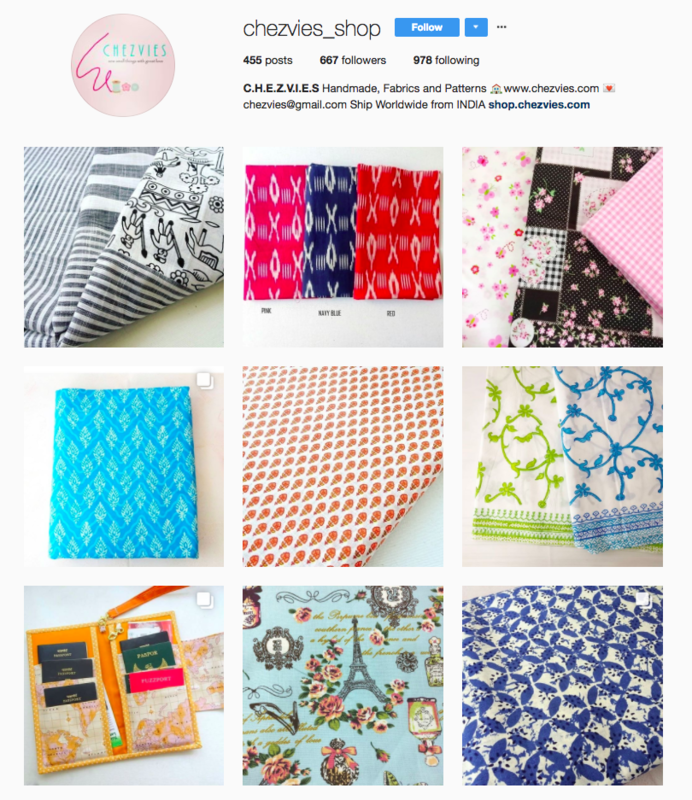 Every product that is visually appealing (and most handmade products are) should at least appear on Instagram. After I signed up with Ecwid, I decided to create a separate account for my shop on Instagram. I post 3 times a day maximum. I did some research about the best time for posting and do it accordingly. I regularly read about the newest Instagram strategy and try to keep up with the changes. Elvira proves a successful Instagram account is a matter of learning — she has learned to shoot and edit her photos at home. She bought a good camera a few years ago and has recently purchased a backdrop. I’m a DIY person ^^. I have a small balcony which has good lighting throughout the day. I use a simple canvas board for my white background, and I recently bought a photo backdrop. I also learned how to style my photos so that they look like they come out of magazines and books. With good lighting and background, you can take good photos without much editing. I noticed that by sharing my Instagram content to my Facebook page, I get more views and engagement on Facebook. With regards to Facebook ads, Elvira tried running paid campaigns, but it didn’t work out — she got a lot of likes, but no sales. For handmade and small businesses, the market is very niche. Right now I don’t do any other paid marketing. I’m working on my SEO and posting on social media as much as I can. Elvira tweets a lot and tries to remain up to date with the trending hashtags related to her product, whether it’s about fabric, patterns, or handmade products. Handmade sellers have a strong community on Twitter. We RT each other a lot, which really helps for exposure. I tweet at least 5 times a day, directly from the shop and also sharing from Instagram. I try to write a blog post once a week not to spam my subscribers. ☺ Blog posts are mostly about my work, and sometimes I mix it with a little write-up about my products. I also share free tutorials and post offers and deals from time to time. Elvira also shares guides that can be helpful to entrepreneurs, e.g. How to edit Instagram photos that sell. SEO is really the toughest part of selling online. I’m so glad there’s the SEO tab in Ecwid. I use Google Trends to check the trending keywords and also research similar products that are sold online (non-handmade) and use similar patterns. I use a lot of keywords while sharing and in my product descriptions. For her promotions, Elvira uses the discount coupons in Ecwid for giveaways, to distribute free patterns and surprise deals. People love free stuff but we, handmade sellers, can’t afford to give very much. The storefront of CHEZVIES is shining with Product Labels like Best and New, and you can also see the Currency Converter installed. I print out my own thank you label for customers and write handwritten notes for handmade products. 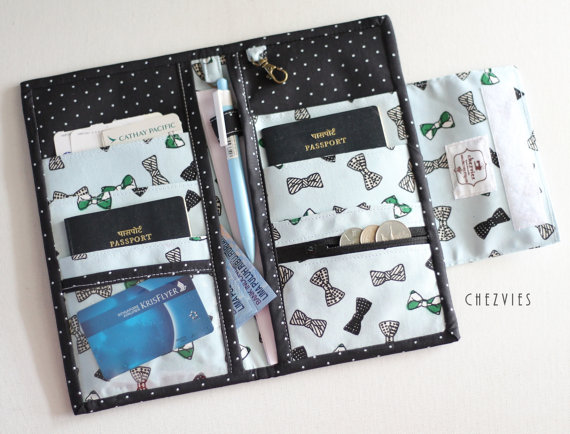 I add freebies for fabrics orders. My customers really love those little freebies. Sewing, blogging, selling, and promoting may seem too much for one person, but Elvira is an outstanding case. Doing all that successfully, she insists family is her main priority. She tries to complete most tasks while her sons are at school. Until noon every day, she manages to promote on social media, check emails, do photography, and prepare orders for shipping. After noon, she usually gets to sewing. She doesn’t think about productivity hacks but simply follows her schedule. I use a lot of sticky notes to note my orders, progress, or things I need to do. If I need to edit or add something from the shop, I usually stick a note on my laptop and do my computer-related work like editing photos and listing a few items at night if there are no orders to complete. 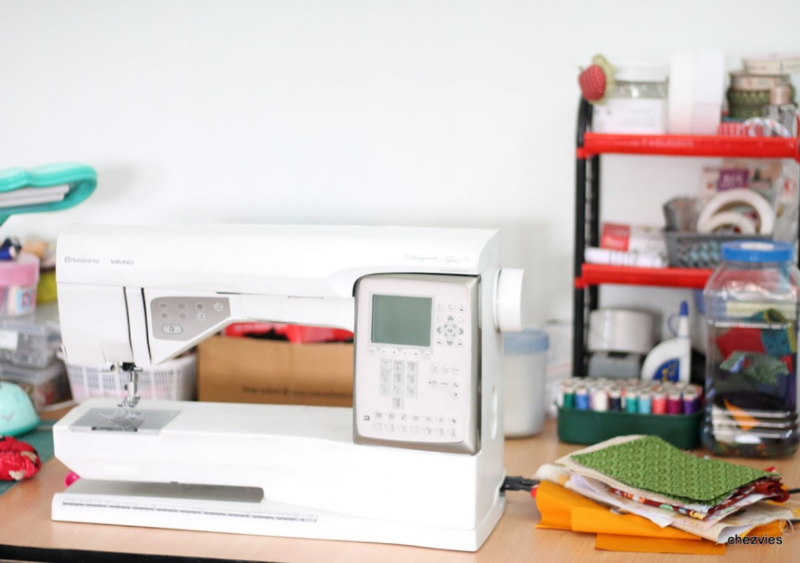 She dreams about a bigger studio — currently, CHEZVIES runs from her drawing room converted into a sewing room. 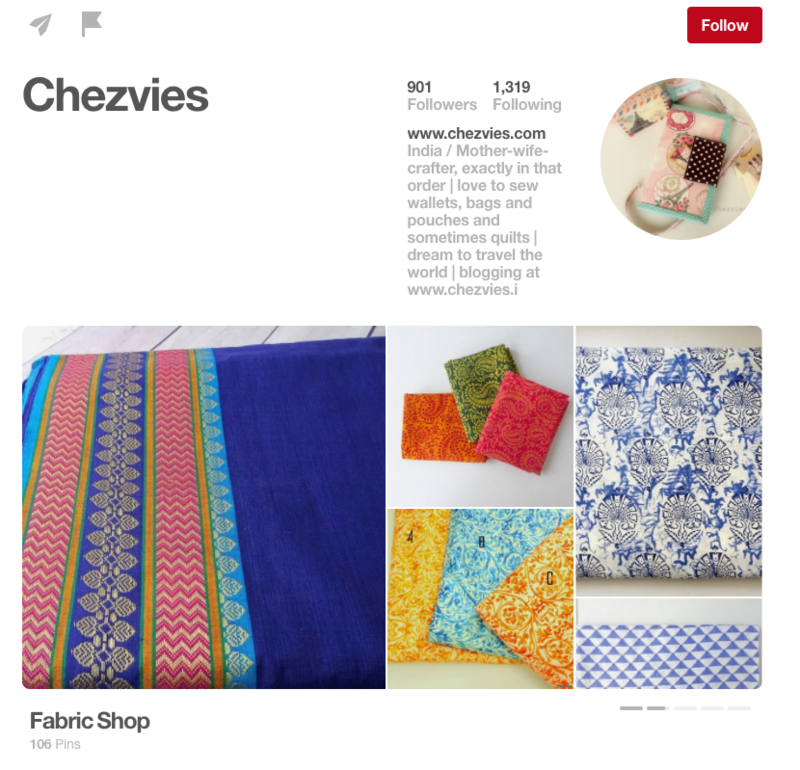 In the future, she wants to make CHEZVIES a one-stop shop for everyone who loves sewing and wants to learn how to sew, especially in India. Read every Ecwid newsletter — they can really save you time. Maximize all the tools and apps that suit you. 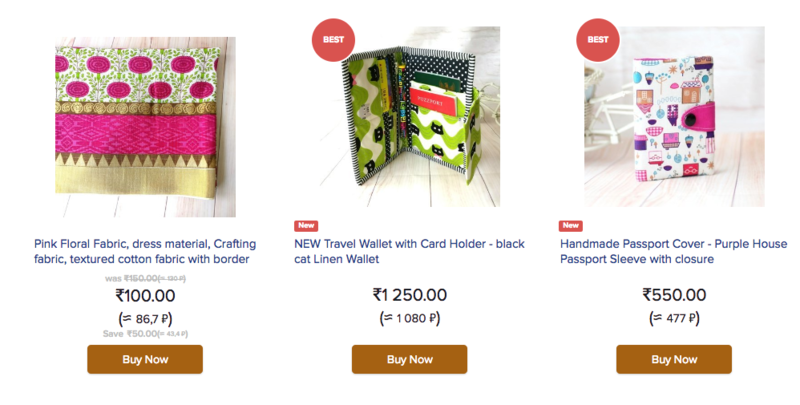 For handmade sellers who want to have a good e-commerce platform, especially in India, Ecwid is the best choice. It’s especially true for mompreneurs who use Facebook as the main selling channel. Success doesn’t happen overnight. Be patient and keep working on what you believe in. Don’t be discouraged, some people may succeed faster, but as a handmade seller, I’d say, enjoying the ride is always equally important. If this story impressed you, please drop a line on blog@ecwid.com for us to feature your unique business too.